My children absolutely adore stars. Little Sis loves to sing and can often be heard singing Twinkle Twinkle, or her version of it anyway. 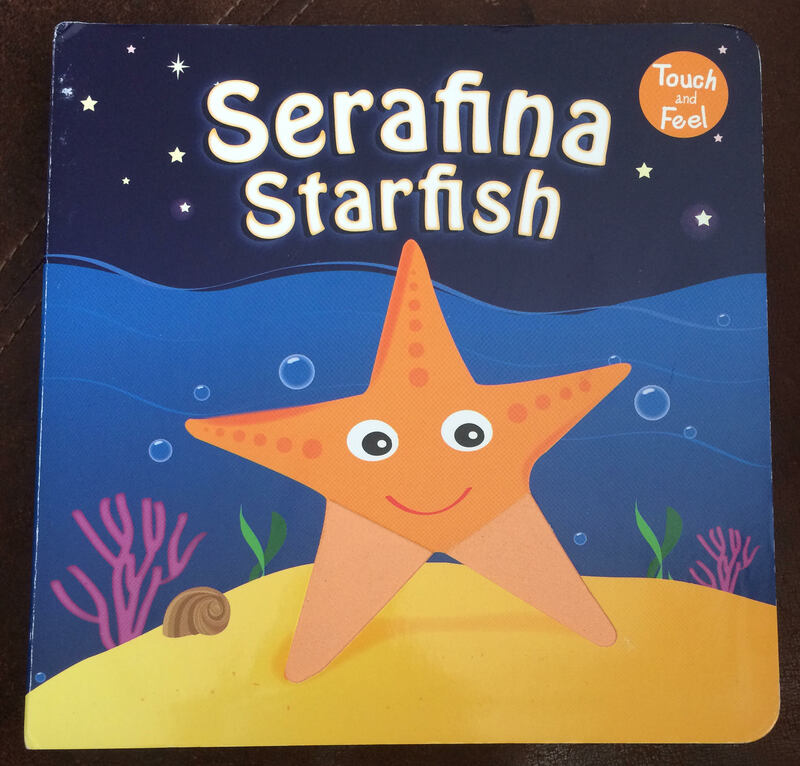 Her latest favourite book is Serafina Starfish, a touch and feel book, which is perfect for babies and toddlers, which she was sent from Meadow Kids. It’s a fun story about Serafina Starfish who doesn’t like living in the sea. She wanted to live in the sky like a real star, but when she gets there she realises she misses her friends and quickly returns home. Touch and feel books are great for little hands and there is something to touch on every page. We loved the illustrations and found this was a great story with lots for us to talk about. Thanks, can’t wait to make some with my children! A great collection. I m pinning these for future use! I love star crafts and have pinned this post.